Excerpt from “The Utility Operator”, in The American Locator by Underground Focus. There are hundreds of pipeline companies across the United States with many responsibilities to carry out every day: pipe integrity and maintenance, development of emergency and employee safety procedures, damage prevention and public awareness activities among others. Pipeline operators have made a commitment to ensure that the highest levels of public safety will be reached in every aspect of their business, and educating the public remains a priority. Established in 2004, the Pipeline Association for Public Awareness (PAPA) was created to provide pipeline operators with an affordable and thorough option to aid in accomplishing public awareness initiatives. They develop safety and emergency preparedness information for pipeline companies that is then delivered to residents, businesses, farmers, excavators, emergency responders and public officials. This non-profit group creates high-quality and informative materials relating to pipelines in print, online and video formats. Their methods are cost effective and comply with government public awareness regulations, while also relying heavily on industry input. The resources developed by the PAPA organization are sponsored by the pipeline operators and are free to the public. 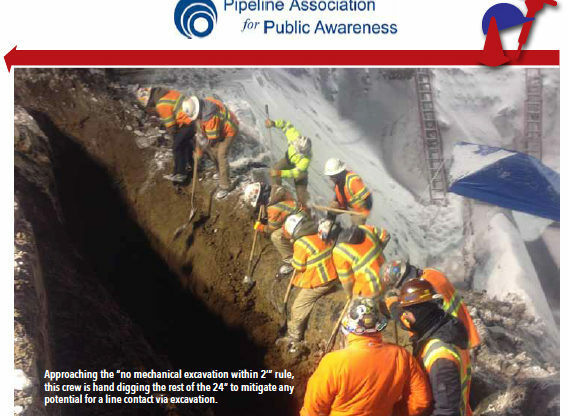 The excavator program supplies the Excavation Safety Guide – Pipeline Edition which contains messaging that is federally required for delivery from pipeline operators. In 2015, this direct-mail magazine was delivered to 522,000 excavators across 36 states, while 12 states (CA, CO, HI, ID, MT, ND, NV, SD, UT, WA, WI, and WY) achieved complete state-wide coverage. Pipeline operators who are members of PAPA strive to ensure that excavators receive consistent and relevant messaging about pipeline safety and damage prevention. Imagine if each operator statewide sent excavators similar reading material, with the same messages and content. For example, an excavator working in Harris County, Texas, where Houston is located, could expect to receive public awareness direct mail pieces from 3 dozen pipeline operators every year! Check out more in the current preview version of The American Locator. Thanks Vincent! We appreciate your feedback!